Bille Daniel, class of 2020, represents Bishop McNamara in the Maryland All State Chorus Concert on February 3rd. 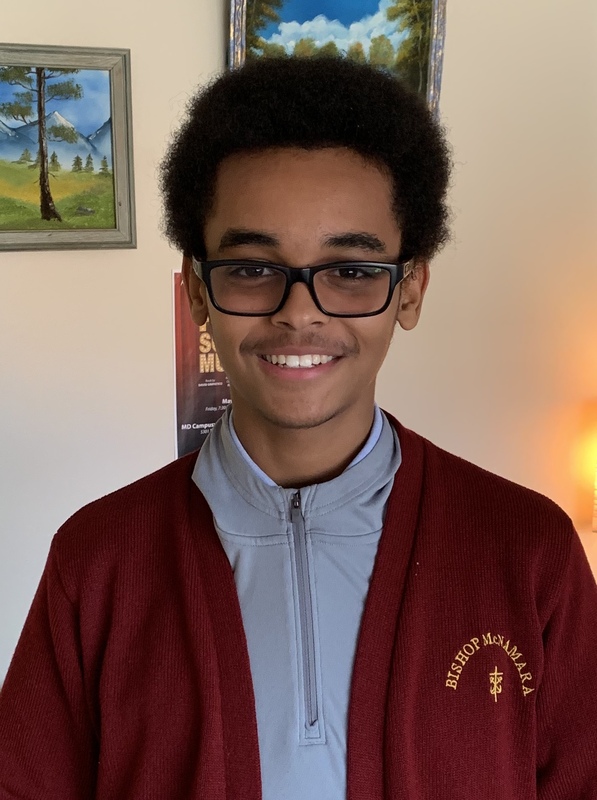 The Bishop McNamara Fine Arts Department would like to congratulate junior Bille Daniel on his acceptance and participation in the the Maryland All State Chorus. Students auditioning for this rigorous choral music ensemble were tasked with learning two new music selections, and sight reading music notation, demonstrating accurate rhythm, tempo and pitch. Once accepted, students must learn the performances pieces on their own before meeting for two days of rehearsal prior to the performance. Bille remarks, "As a freshman, I have always dreamed about getting into this chorus, but now that I am, it's kind of surreal. I guess I have grown in maturity over the years, and how I present myself as a musician has improved. I was very excited to be accepted into this prestigious program." Beyond this achievement, Bille is a member of the Honors Chamber Choir, plays French Horn in the Wind Ensemble, and has been involved in other honors ensembles in both vocal and instrumental music. Congratulations, Bille! What an honor for you and the BMHS musicians!